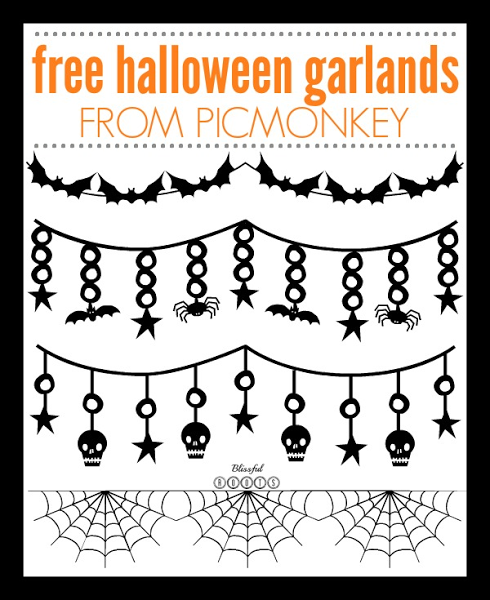 I've been sharing a few of my favorite FREE Halloween images from PicMonkey for the last few Mondays, and with October beginning in just a few days, it's really time to start getting all your decorations, activities, treats, etc... ready to go. So, I have yet another fabulous spooky PicMonkey find to share today. All these classic creepies are available for you to use for FREE over at PicMonkey. I used them last year in my Halloween Bing post over at Or So She Says. There are so many great ones to choose from! If you've been here the past two Mondays, then you know the drill. I am adding one new step, which is the screen shot you see above. 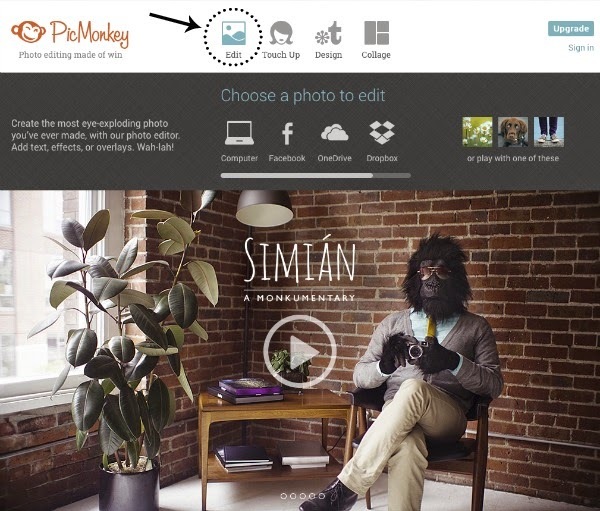 This is PicMonkey's home page (don't you love Simian?). When you arrive at the homepage, simply click on the Edit icon at the top of the page. 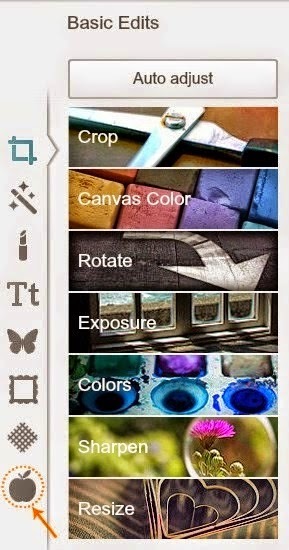 Then you can choose what image or canvas you wan to edit. I often start with a plain white canvas. I simply save a plain white document I made in my word processing program to my desktop, and use that. Then you'll see this toolbar appear on the left-hand side of your canvas you are editing. Click on the apple icon in the bottom left corner. 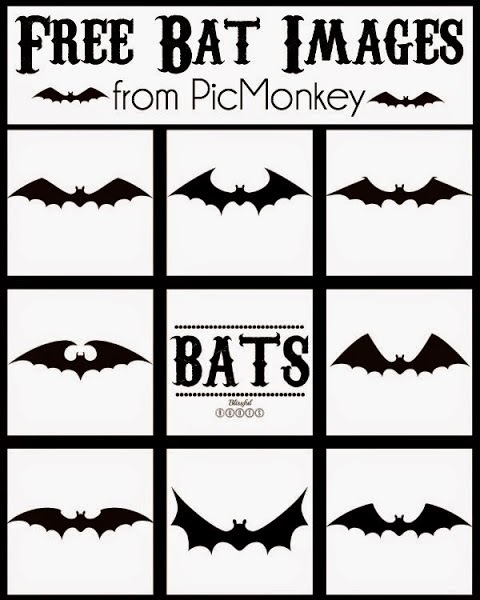 PicMonkey has a TON of themes, but we're using the 'Trick or Treat' one for today. Just scroll down a bit, and you'll see it. Once you've clicked on the 'Trick or Treat' theme, you'll see lots of items appear. We want to use some of the Overlays. I used the 'Classic Creepies' and the 'Pumpkins'. 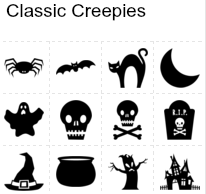 Here are all the free 'Classic Creepies' you can use for whatever Halloween project you might be working on. 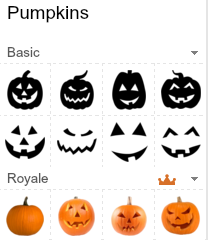 And here are the 'Pumpkins' you can choose from. As I mentioned, these were perfect for creating a Halloween Bingo, and I'm sure you could think of a million other ways to use them! 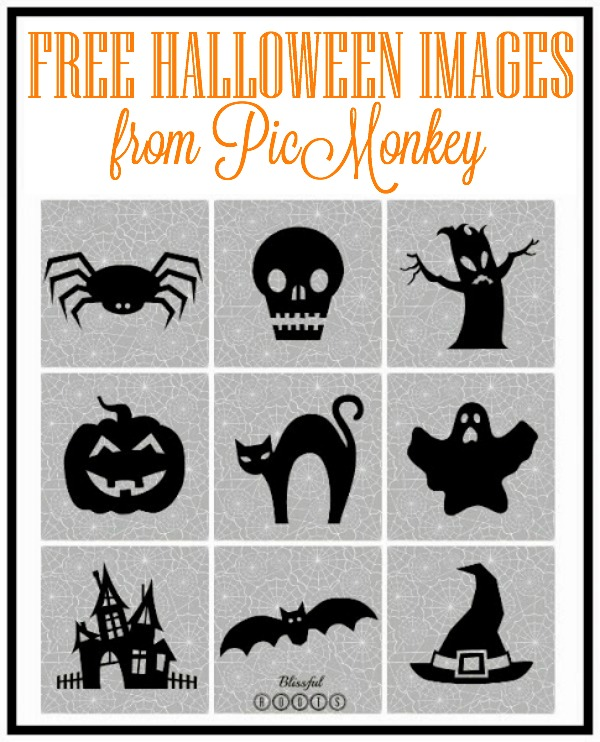 And just in case you missed the past two Monday's posts, here are some other great Halloween freebies PicMonkey offers. So cute! I would love to use these! They are so cute, aren't they, Emily! I love how versatile they are. You could use them for ANYTHING!